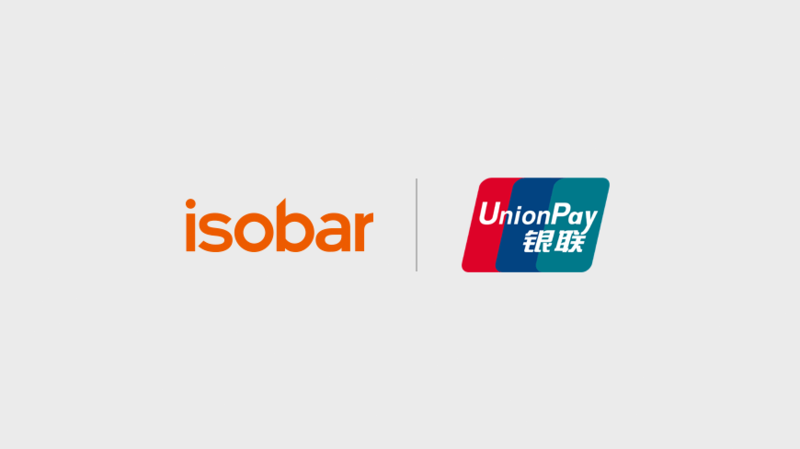 Dentsu Aegis Network China and Isobar has announced a strategic partnership with UnionPay Smart, a China UnionPay company specializing in big data applications. Combining the existing big data analytics of UnionPay Smart, with advertising and user browsing behavioral insights from Dentsu Aegis Network, the two parties will co-develop and operate a precision brand marketing platform for advertising; providing data-driven marketing solutions for brands. It is the first ever crossover collaboration between financial data, advertising and marketing communications industries in the field of data connection. The landmark partnership has been achieved through a year-long collaborative effort between UnionPay Smart and Isobar China Group, a digital marketing agency owned by Dentsu Aegis Network. Based on research and design of business models, the project has enabled a deep integration of media and marketing data on the premise of strict privacy and data protection; creating a reciprocal ecosystem that benefits advertisers, data solution providers as well as media platforms. Together with UnionPay Smart, Isobar China Group will establish a data management platform (DMP) targeting online advertising, synchronizing UnionPay Smart consumer portraits with browsing and search data shared by publishers. The platform empowers advertisers to map consumer insights with decision-making and buying processes, creating more accurate target audience portraits. Specifically, the data exchange will prioritize automotive, finance, maternity and infant as well as other key sectors. Isobar China Group and UnionPay Smart will then co-develop and co-own a demand-side platform (DSP) for programmatic buying. Set on the key precondition of ensuring all data is safe and legal, the platform will incorporate online and offline behavioral data to optimize audience targeting across publishers to greatly enhance returns on investments. Founded in 2012, UnionPay Smart is a subsidiary of UnionPay. Dedicated to big data innovation, UnionPay Smart is dedicated to creating and optimizing big data platforms based on consumer data and providing diversified big data application solutions, such as industry analysis, business decisions and business strategies for China UnionPay and its partners. As the largest digital advertising group in China, Dentsu Aegis Network is also the first to drive integrated digital marketing communications in the industry; serving top brands spanning automotive, finance, retail, maternity and infant as well as other fields. Isobar China Group, part of the Dentsu Aegis Network, is a full service digital marketing agency, driven by the aim of delivering marketing solutions with borderless ideas enabled by technology and new media communications, to transform businesses and brands.